In 2014, Fabrisonic, a three-year-old start-up in the 3D metal printing industry, had grown from a one-man operation to a several employee organization, complete with engineering and production staff. President Mark Norfolk, who previously met Rob Felber years before at a trade conference, reached out and shared his concern about Fabrisonic’s visibility in a rapidly growing industry. Although Fabrisonic had a unique 3D printing process, there was a great deal of confusion about 3D metal printing, as plastics were leading the headlines. Like most start-ups, the only marketing Fabrisonic had was through Mark and his frequent flyer card. While Fabrisonic knew they needed full-blown PR and Marketing, they were limited by budget, and hired Felber PR & Marketing to essentially put them “on the map” with industry media and tradeshow attendees. Mark and the Fabrisonic team decided to exhibit at the Society of Mechanical Engineers’ RAPID 2014 conference (The Authority on 3D: Printing, Scanning, and Additive Manufacturing, held annually). At the time, the project was to drive booth traffic, both from media and attendees, and create a lasting impression to all who met the team. Fabrisonic’s greatest marketing challenge is that they were unable to talk about the majority of projects they worked on due to legal and intellectual property restraints with clients. Felber PR employed several tactics that are not only in use today, but also have been executed at subsequent trade conferences. While Norfolk and his team were doing a fantastic job in small group appointments and factory tours, Felber PR & Marketing helped Fabrisonic realize that speaking to trade media with tens of thousands of readers would create interest at a wider scale and also become a permanent record on the Internet with articles, photos and features, all from respected publishers. Felber PR & Marketing developed a target list of media, with the goal of scheduling short meetings to introduce Fabrisonic to editors and reporters who essentially hold the keys to their audience. The result was more than Fabrisonic ever imagined. Not only did Felber PR & Marketing target over 15 major media outlets at RAPID 2014, but also garnered well over a dozen interviews and subsequent published articles. Building reputation with media is critical, and Fabrisonic realized this was one key strategy that not only worked for them but will continue to work for years to come. The challenge of not being able to mention specific clients or projects was easily overcome by the high interest in the technology represented in what are called “application” articles. Themed Dimensional Mailing – Felber PR & Marketing developed a themed dimensional mailing highlighting one of the most important Fabrisonic features. The promotion was sent to all media prior to the show. Before the Felber team could even start follow-up calls to get what would turn out to be dozens of appointments, recipients were already calling Felber PR & Marketing to schedule meetings with Fabrisonic. Coupled with the mailing was a matching handout, as well as a tabletop display board, reminding recipients about the key message being delivered at the conference. Trade Show Working: Rob Felber not only attended the show to assist the team, but was the first to place material in the media room, shocked that no other company had prepared any materials for the media. Prior to the show opening, Felber PR & Marketing booked the three days of the conference full of media appointments. The Fabrisonic team literally went from appointment to appointment on their temporary home turf: their booth. While Rob Felber worked the booth with Fabrisonic, he was often quoted as saying “I’ll intercept anybody that has a skinny notebook or a camera more expensive than my car, as they usually are media.” Previously unknown (non-registered media) were discovered, and additional media appointments and posted video interviews with media were the result. Felber PR & Marketing utilizes a three-step process to all events and conferences. This process includes Pre-Show, During Show, and Post-Show coordination that features social media, demonstrations, mailings and often booth support. 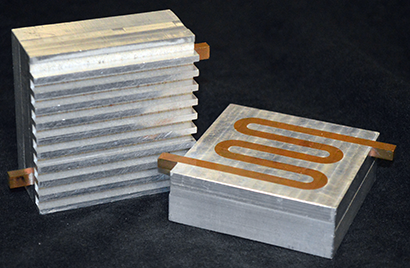 The team created the theme “It’s All About the Layers.” [Note: Fabrisonic uses ultrasonic additive manufacturing technology to build metal parts in layers of similar and dissimilar metals.] Highlighting the layers theme was a package of Trident Layers Gum. The photo of the gum on the package looked remarkably like the metal layers created with the Fabrisonic process. The results from RAPID 2014 were so impressive that Fabrisonic has contracted with Felber PR & Marketing ever since. Fabrisonic continues to have regular media representation in industry articles and is featured on panel discussions as experts in the 3D printing industry. 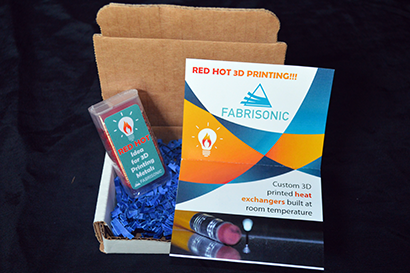 In 2015, concerned about not being the “new kid on the block” anymore at RAPID 2015, a theme of “What’s HOT at Fabrisonic” was employed. While Felber PR & Marketing cautioned Fabrisonic not to expect the same media attention they received the year prior, that hurdle was quickly overcome, yet again, as Fabrisonic could now speak to advancements in their technology and, finally, actual customers, such as Oak Ridge National Laboratories. Fabrisonic continues to grow and add personnel, while Norfolk travels the globe to share Fabrisonic’s cutting-edge technology.